Ubuntu 10.04: Upgrade or Clean Install? Ubuntu 10.04: Upgrade or Clean Install? - The Ubuntu 10.04 LTS (Long-Term Support) "Lucid Lynx" has been unleashed with fresh Mac-like look and a plethora of other exciting features. * Faster boot speed on almost any machine and extra-fast on SSD-based machines such as netbooks. * Social networking support via the Me Menu with access to social networks such as Facebook, Digg, Twitter and Identi.ca. It also integrates chat channels so users can talk with friends or colleagues on Google Talk, MSN, IRC and nearly every network. * Enhanced desktop integration of the Ubuntu One online service for easy saving and sharing of files and folders on the cloud. 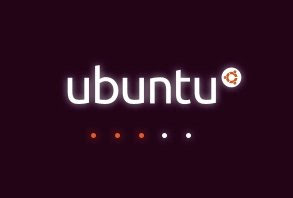 * New Ubuntu One Music Store to purchase and share DRM-free music from one location across multiple computers and devices. * Improved Ubuntu Software Centre to find new software, and keep track of it once it's installed in a new, sleeker interface. Now, should you upgrade or do a clean install? I've been installing and using Ubuntu on several machines already and I must say that the more convenient is doing the upgrade. In fact, my main workstation has been upgraded from Ubuntu 9.04 to 9.10 and now to 10.04. I've never encountered major problems whatsoever while upgrading so I'm looking forward to do it once more in the future. For me, upgrading is less time consuming than doing a fresh install since I don't have to again download, install, and configure all the software that I need. After upgrading, my system is ready to use and I can go on with my work. Ubuntu has been known to be really good or reliable at doing upgrades that you should not worry about breaking things up. As long as you back up your files everything will be fine. I have a few experiences of doing a fresh install that failed several times, but when I did the upgrade there were no hiccups. Doing a clean install may offer a few advantages to some users, but if you are like me who already have a fully-loaded and smooth-running Ubuntu desktop, just go for the upgrade. How about you? Do you prefer a clean install to doing an upgrade? For me Jun, I would have to opt for a clean install. Somehow it gives me the feeling of freshness and not too many applications installed. Still waiting for that CD though. I can't download because I don't have a burner anyway. I prefer upgrading, my distribution was dropped in 2007 and I am too lazy to strip gnome and other junk from ubuntu myself. The upgrade went surprisingly smooth, only 5 packages had to be removed (libraries + usplash), nothing that I'd miss. When upgrading I can check what new gets into my system as well and remove ubuntu junk. From 250 new installed were 200 removed and I am happy. For me an upgrade did the job! I have problem upgrading from 9.10. It always fails at the last 3 package downloads. I upgraded from 9.10 to 10.04 on a dual cpu athlon MP system and it now boots to command line. "startx" fails to get the gui running. Not a happy camper. In the end I upgraded from my 9.04 Cd to 9.10 to 10.04. They moved the min, max, close button to the left. arg. I like the broadcast feature though. You lose several "enhancements" like ext4 and GRUB2 doing the upgrade. I long ago moved my HOME to separate partition and I finally did a clean install of 9.10 over the upgrade of 9.10 and my system now runs MUCH faster. I'm considering doing it again. I had to fidget to the clean install a couple items had to be reinstalled that didn't make the jump (GUI for ipblock, some games, etc.). It was heaven to do the clean install and see my "old" wallpaper come up on my desktop after the fresh install. For me, clean install was the way to go. When I tried to upgrade 9.04 to 9.10, everything worked, but it failed at copying several files, and as a result, had to clean install. The clean install does make it a lot faster. I'm afraid I haven't had a good experience with either one. I upgraded from 9.10 to 10.04, and after a series of oddball problems (jerky video; CD and DVD-ROM didn't want to mount until I edited rc.local; slow boot), I decided to go with a clean install. I now have a Linux build that doesn't recognize my mouse. I found that by upgrading to 10.04 rather than a clean install Sun Java required by Limewire could be installed and retained prior to the upgrade from Ubuntu 9.10. When I did a clean install from the CD I couldn't get Sun Java installed. Upgrade. I hate baby-sitting an install. Just clicking a button, going to sleep and checking out the aftermath the next day seems easiest now. I haven't found a single thing broken since going from 9.04 to 9.1 (if I got the ver. #s right). I still haven't make the 10.04 leap but I kind of like being behind the latest and greatest these days. Well, I'll wait for the first patches but it was no fun so far. WARNING: GRUB may lose Win7 dual boot pointer. I tried to upgrade my Ubuntu 8.04, which is part of a dual boot system with Winxp. That failed miserably -- corrupted the Ubuntu 8.04; it is now unbootable. I am now doing a fresh install of Ubuntu 10.04. It's not going very well either. And now I can't get the laptop to work! What to do?? Upgrade on my desktop works fine and is preferred. However on my msi Wind Notetbook I end up with no GUI and that repeatedly. In the log: no screen.